The group is putting the finishing touches to a set of twenty-six prints. They will make up the Printmakers’ 2014 book, eighth in the series, and be displayed at various shows and locations from May this year onwards. Look out for further news soon! 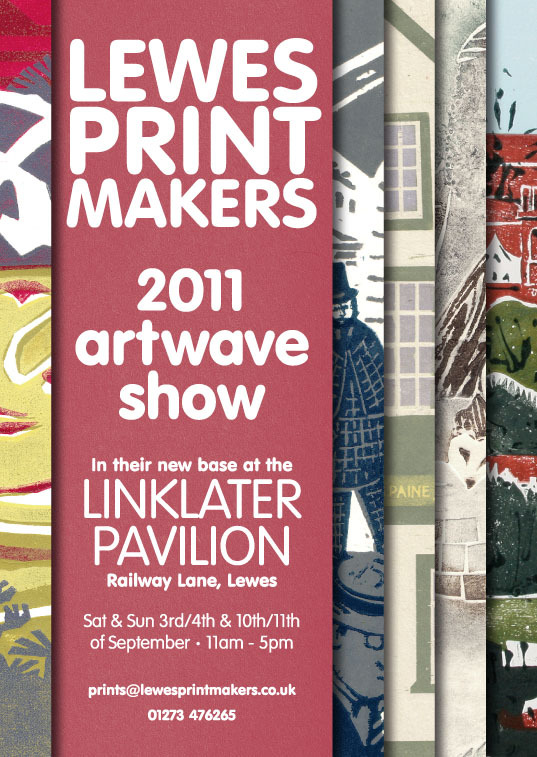 Lewes Printmakers is the name of the group previously known as Paddock Printmakers. We’ve moved to the beautiful new Linklater Pavilion in Lewes, so we felt that a name change was appropriate. The group will still be meeting regularly on Tuesday evenings, as well as some all-day sessions on Saturdays, and the Linklater will also be the venue for our exhibition in this year’s Lewes Artwave festival. We’re pleased and excited with our new home, and the very warm welcome that’s been extended to us. More news will follow, as we settle in. Also included are Paine portraits, and a tribute to a well known celebratory ale! Brought To Book . . . The prints are all in from our small army, we have a running order and a draft text, and are working away at the final layout for the Printmakers’ Tom Paine book. Each print is the end product of hours of preparation and printing, and all together they’re looking absolutely wonderful! Here’s a small taster. First is Charlotte Matthews’ collagraph of the Lewes Market Tower, where some of the many events in July’s Paine Festival will take place (see the Links page for all the details). Next is a woodcut. This is of the long-gone Sessions House or Old Town Hall, by June Flanagan. This imposing building is believed to have stood in the middle of the High Street, between what is now the Abbey bank and Ask restaurant, and is probably the reason why the High Street is so much wider there than on the opposite side of the junction. Below is a print by Brian White, of some very ethereal horsemen passing in front of Lewes Castle’s Barbican gatehouse. Brian has the story! Finally an etching by Clare Dales. This is one of two Clare has made of Bull House, where Tom Paine lived during his time in Lewes. For the bicentenary year of the death of Thomas Paine, Paddock Printmakers are producing a book of images of places in Lewes associated with his life. This will include prints of the Bull House, St Michael’s Church and Westgate Chapel, The White Hart, the Old Town Hall and Market and the present Market Tower, the Old Quaker Meeting House and the New, the Bowling Green; and other sites representing his work as an Excise Officer and participation in the Headstrong Club. Paddock Printmakers are a group of artists, all-comers, who meet and work at the Paddock Studios in Lewes with Carolyn Trant, a Book Artist. They produce limited editions of hand-printed lino-cuts, woodcuts and engravings, drypoints and collagraphs, and every two years, make these into a small edition of digitally printed hand-bound books, previously to sell in the annual Artwave Festival – this year to exhibit and sell as part of the Tom Paine Festival in July. Pelham House, Lewes, has kindly offered the foyer of the Hotel as exhibition space for this project throughout July and August. The original prints themselves will be on sale, as well as copies of the book. Previous books and prints have been very popular and sold fast. Previous books included ‘High Street’ and ‘Cliffe High Street’ – images of Lewes’s individual shops; and ‘Public House’ – which included all 21 pubs in the town, and text about those now gone. The Tom Paine Book will include a brief history of Tom’s life in Lewes. It will again be bound by local book-binder Rachel Ward-Sale at the Star Brewery, and will be an ideal souvenir of the Festival.